This is what happens when I have no ideas and start drawing with no clear plan. Everything looks like of half formed and poorly constructed. There is a spaceman though, I guess that is a small consolation. 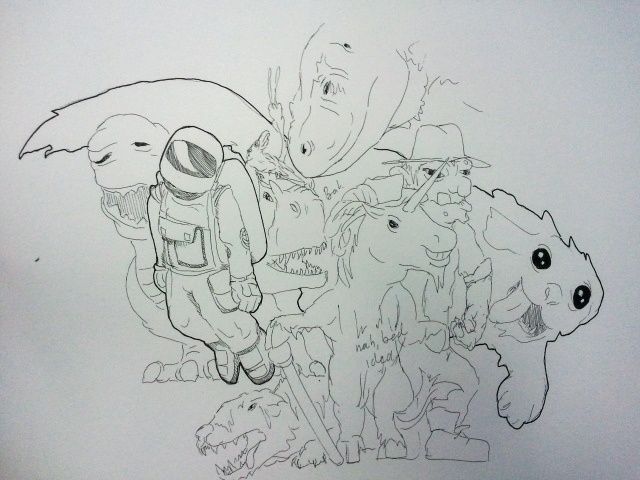 This entry was posted in Quick Desksketch and tagged uncreative by Anthony. Bookmark the permalink.